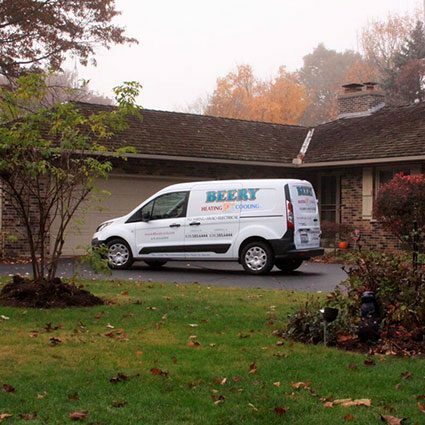 Beery Heating and Cooling provides full-service furnace/boiler and air-conditioning installation, repair and replacement for homes in Montgomery, IL. As crafters of indoor air environments, we create the home environment you most want to live in. Our complete range of heating and cooling services for Montgomery saves you the effort of having to contact and manage multiple companies for your furnace/boiler or air conditioner. Always current with changing technology, we create heating and cooling systems as personal to you as your choices of home décor. Our team serving Montgomery includes OSHA-trained and –certified technicians as well as experts trained and certified through lengthy Union apprenticeship. Our promise to you is to install the highest-quality, most energy-efficient residential heating and cooling equipment for years of efficient performance. We will also serve you swiftly and skillfully according to your budget. We believe that fewer visits from us through the years means we’ve served you correctly. You can achieve true comfort in your Montgomery home with efficient and accurate climate control and maintenance. Heating and cooling technology constantly changes, so you want to make sure you have the right equipment and system for you and your home. Beery Heating and Cooling has been serving the Montgomery area with creative cooling solutions since 1980. We install, repair and maintain furnace/boiler and air-conditioning units for both new and existing homes in Montgomery. We understand than an issue with your furnace, boiler or air conditioner can arise at any time as well. If you should ever need swift and skilled assistance with your unit, we’re available 24 hours a day to help make sure it’s operating for you as it should. We appreciate our Montgomery customers, so we also offer a Planned Maintenance Program after our first service visit. This special contract provides you with same-day service, no overtime charge for visits after hours and a 15% discount on any of our heating and cooling services. Your satisfaction with your indoor-air environment is important to us. Call (630) 585-6444 today to discuss how our furnace/boiler and air-conditioning installation, repair and replacement can be an asset to your home in Montgomery. We look forward to hearing from you! Beery Heating and Cooling also serves Montgomery with skilled residential plumbing and electrical work. Whether you need repair, remodeling, replacement or routine maintenance, we can make sure your plumbing system is fully efficient and functional. Our services include, among many others, new-construction plumbing, sink rodding and installation of water heaters, sump pumps and ejector pumps. We are just as versatile with the repair, maintenance and replacement of Montgomery home electrical systems. Beery’s expert technicians can help keep your electrical equipment lasting longer and running more efficiently. As our customer, you benefit from fewer costly repairs, lower energy consumption and discounts on parts and labor. Get more details about our Montgomery plumbing and electrical work today – give us a call at (630) 585-6444! In addition to our residential equipment and services, we offer total solutions for commercial heating, cooling, plumbing and electrical systems. Our commercial experts are always ready to serve you on time within budget whether you need repair, maintenance or replacement for your business. Call us today at (630) 585-6444 to inquire about our commercial services for Montgomery, IL.